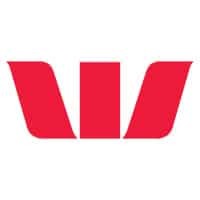 Westpac has begun a host card emulation (HCE) pilot in New Zealand, enabling customers’ credit and debit card details to be securely stored in the cloud and then used at the point of sale to make mobile payments on their Android NFC device. Forty Westpac staff and customers are participating in the three-month trial ahead of a planned commercial rollout to customers early next year. Westpac is using technology developed by Carta Worldwide for the pilot. “This is the first of four key components we are looking to develop that will make up a digital wallet for Westpac customers,” says Shane Howell, Westpac’s chief product officer. “The other components we are looking to incorporate are transport cards for buses and trains, loyalty programmes and potentially even forms of ID like a driving license. What we’re working towards is a true digital wallet experience that is safe and easy to use. TSM NZ, a joint venture formed by Paymark, Telecom New Zealand, Vodafone and 2degrees in 2012, is due to introduce its platform later this year. Interesting! What does this mean for the Samsung – Westpac partnership, leveraging the Secure Element on Samsung Galaxy S4 and S5 phones? User Credentials in Cloud ? !!!! but when you keep user credentials on to the cloud, it is always available. traffic to the cloud from users and hackers will definitely degrade the performance. User credentials always alive, unsecured android platform , I am crossing my fingers for HCE based payment solutions.